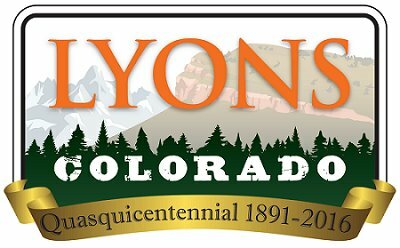 The Lyons Outdoor Games is a premier Colorado outdoor lifestyle, adventure sport and music festival, and it's just around the corner! Pop a tent Friday night with foothills views, and get out for a mountain bike ride on our world class single track in the morning. Send your kids up a climbing wall and drink craft microbrew from over 50 craft microbreweries around the country, while watching world class athletes compete in professional kayaking, dirt jumping and slacklining comps! Get in on it and sign up for this year's Beer Relay or kick off your flip flops and jump on a slackline or throw a disc at our new disc golf event. And it wouldn't be the Lyons Outdoor Games without some awesome eats to satisfy your hunger! There are plenty of volunteer slots to fill, with each shift averaging around 3 hours per shift. Don't be afraid to sign up for more than one shift for the event if you can manage! Without the volunteers, this event wouldn't be possible! The 2016 Lyons Film Festival is the new gateway to Colorado film makers and creative talent from all over the country, set in idyllic Lyons, Colorado. The second annual Lyons Film Festival will showcase well-known films, from some of the many local Colorado independent film makers, in categories including Philanthropy, Colorado In The West, and Adventure Films, to name a few. The event will host a panel of filmmakers, who will dive into the process of filmmaking, and be available for a Q&A session. Additionally, the panelists will cover areas such as gorilla film making, acting classes, and how to raise money for a film project. Power has been connected to traffic light this week. After CDOT inspections early next week, it is anticipated that the lights will begin flashing. Federal Manual for Uniform Traffic Control Devices requires traffic lights to flash for a short period of time to alert drivers to the new signal. This will take up to 7 days, and then the lights will be fully functional. Project Engineer Joe Kubala is arranging for temporary measures to allow for 2-lane traffic beginning Friday evening and continuing through Sunday. Additionally, flaggers will be onsite to mitigate cross-traffic access on Saturday. On Tuesday, Xcel Energy began potholing - digging exploratory holes to locate existing utilities. Residents will be notified of upcoming work and temporary access with door hangers. Please observe temporary 'no parking' signs that may be placed in front of residences. Xcel anticipates minimal services interruptions, if any. RETREET will be leading a tree planting project in Lyons on Sunday, June 5th. The materials for the planting will be delivered on Thursday, June 2nd and temporarily staged in the Confluence Neighborhood. The mulch and the trees will be stored on the lot at 341 Park St (Stacy property) until the end of the day Thursday (6/2/16). This lot will serve as the distribution hub as the materials are dispersed throughout town, to those who are participating in the tree plantings. Distribution of the materials will only involve a few pick-up trucks and will likely take just a couple of hours. Impact to the neighborhood will be minimal. On Friday, June 3, at 7:00 PM in Rogers Hall, a talented group of local actors will perform a staged reading of the play Count to benefit the Lyons Regional Library Building Foundation. Set in a German mental institution in 1902, Count fictionalizes an intellectual confrontation between mathematician Georg Cantor (Drew Biel) and Galileo Galilei (Joseph Lekarczyk) that reshapes the lives of a sanitarium nurse (Debbie Simms) and a young woman of the nobility seeking refuge in the asylum (Julie Smith). Local musician Thom Bishop accompanies the reading on Dulcimer. Please come to Roger’s Hall Friday, June 3, in support of these fine local actors and the Lyons Regional Library Building Foundation. A $10 donation is requested. 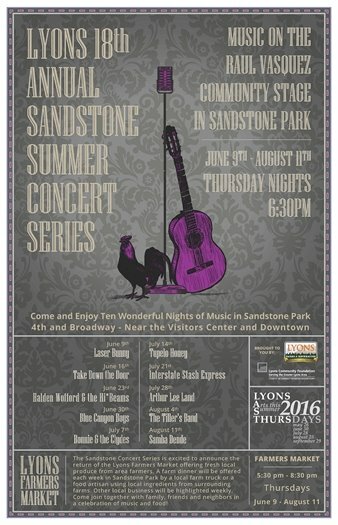 More information is available at the Lyons Main Street Library.